Ngāi Tahu held gatherings and petitioned Parliament seeking redress. 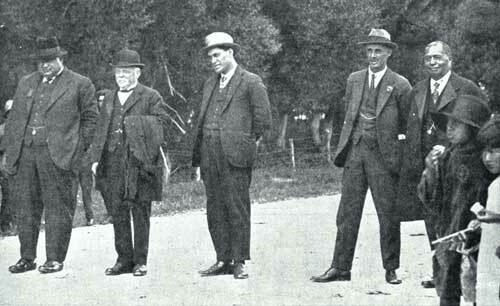 In 1925 a gathering at Tuahiwi discussed how to distribute the £354,000 offered by the government after a 1920–21 commission of inquiry recommended compensation be paid to Ngāi Tahu. Here, the president of the Native Land Court is arriving at the meeting.